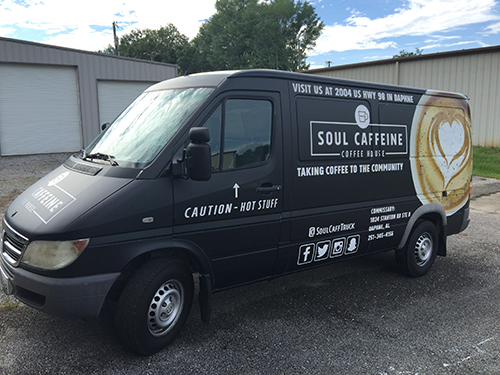 The Soul Caffeine Coffee Truck is our mobile solution to your coffee needs! We're available for private or public events anywhere in the Mobile-Baldwin County-Pensacola area. Check out our standard menu below. Upon request we can also provide our signature drinks, Cold Brew Floats, Protein Smoothies, or Italian Sodas. Click Here Reserve the Soul Caffeine Truck!